I have mentioned it in passing, but Nina and I will be in Germany for three weeks in June and early July. I cannot tell you how excited we are about this. Not only for seeing friends and family, but also for all the wine tasting opportunities. Wine tasting and travelling in Germany is incredibly pleasant. The wine culture is still very much based on local, small wineries with farm-like structures. Now, I am not saying that the winemakers are mere “peasants”, on the contrary. They are smart businessmen, and they know they produce for a world market. Yet, they have retained a lot of the wonderful ease of access that their fathers established and that is one of the best features of German wine culture. It also gives you super-easy access to winemakers and their knowledge and treasure trove of stories. 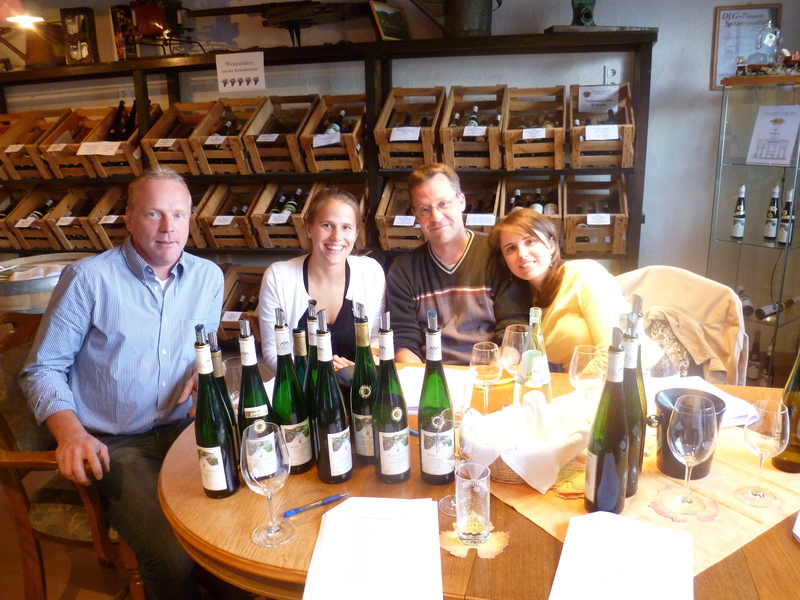 While Nina and I lived in Trier, we would make a habit of wine touring on weekends. 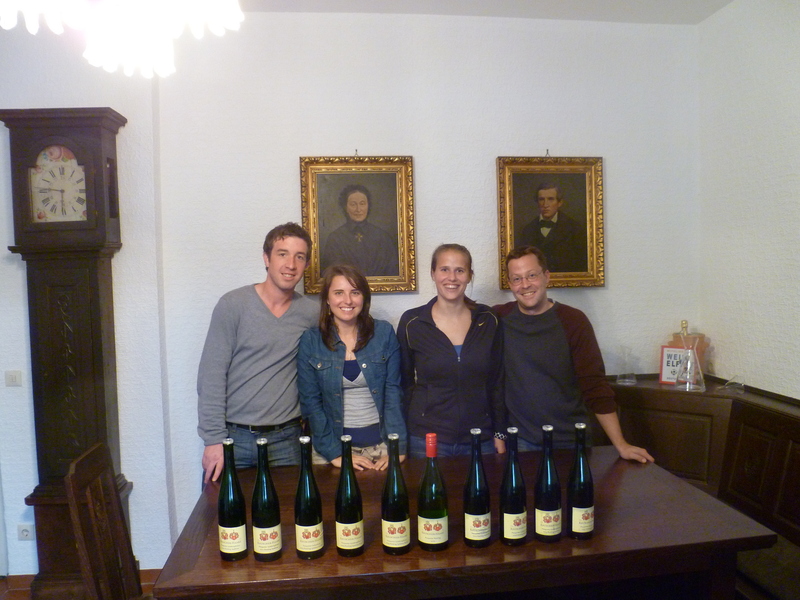 We would drive down the Mosel and ring random doorbells at wineries and ask whether we could try their wines. We were never turned down. 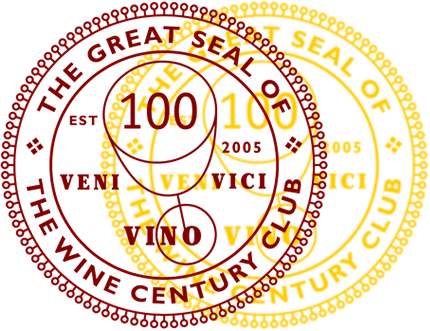 We had wine tastings in fancy tasting rooms, kitchens, wine cellars and wine storage rooms. The overwhelming majority of winemakers was friendly, and once they realized we cared about wine, they usually opened bottle after bottle to try for us, and we often ended up hours later, with many wines tried. American friends who have taken part in these are usually amazed by the generosity (there is nothing like that twinkle in a winemaker’s eye when he announces that he still has a BA or TBA open for us to try…) and the fun. The winemaker will sit down with us and enjoy his wines with us. For me, it has always been like this, so that is what I expect…As a caveat: That does not necessarily work at the big estates with stellar reputation. But it is true for a lot of the wineries just beneath those. THE winery in my hometown. I went to school with the oldest daughter, and now her brother is taking over more and more in this excellent winery. Christian Hermann is a genius with wine. They produce stellar collection after stellar collection each year. This will be a first for us. Really excited about the opportunity! Mario Schwang, the winemaker, is one of the coolest wine guys I know and it is always great to get to hang out with him and his great wines. Used to be my go-to winery in Trier, with wines from spectacular locations. This time around we will get a tour of the cellars and try some wines old and new (actually thanks to my post about their 1987 which made the person that sold me the wine invite me!!). One of last year’s biggest discoveries for me. Konstantin and Alexandra’s wines have a depth and finesse that is mind-boggling. Their 2010 dry riesling ranks among the very best dry rieslings I’ve ever had. If ever you get to go on a wine trip to Germany, give the let’s go and ring a random doorbell approach a try. I have made some great discoveries that way. There are incredible winemakers out there waiting for you to discover their wines.